The photographer’s day really begins well before sunrise. The early morning hours are critical in getting great photos as the most color change happens the hours around sunrise and sunset. 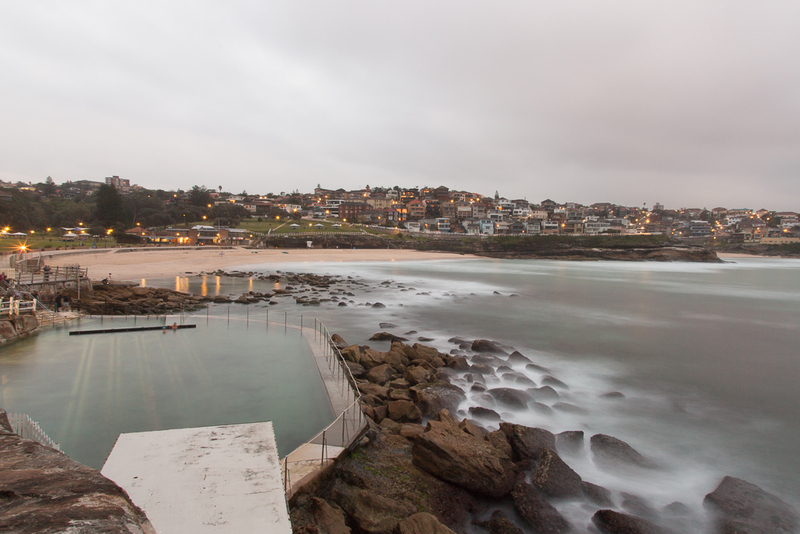 One of the Meetup groups, Not Only Black and White, had a sunrise shoot out at Bronte pools. The photographer’s day really begins well before sunrise. The early morning hours are critical in getting great photos as the most color change happens the hours around sunrise and sunset. 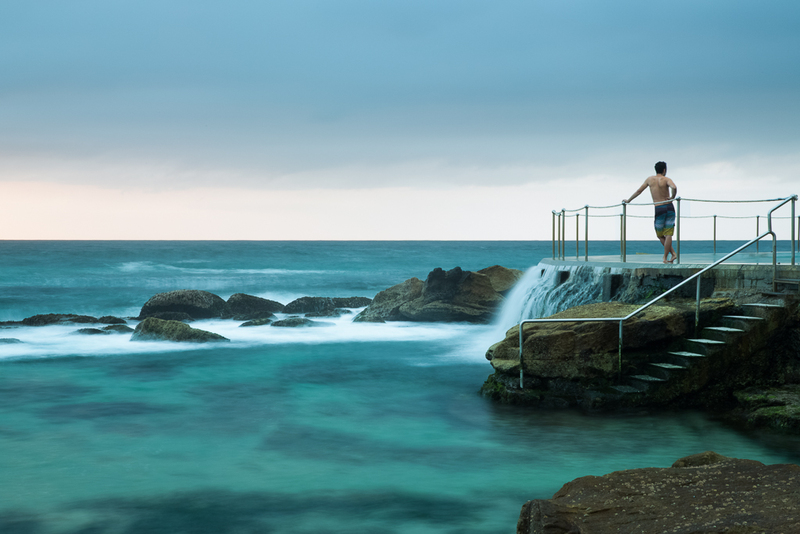 One of the Meetup groups, Not Just Black and White Photography, had a sunrise shoot out at Bronte pools. 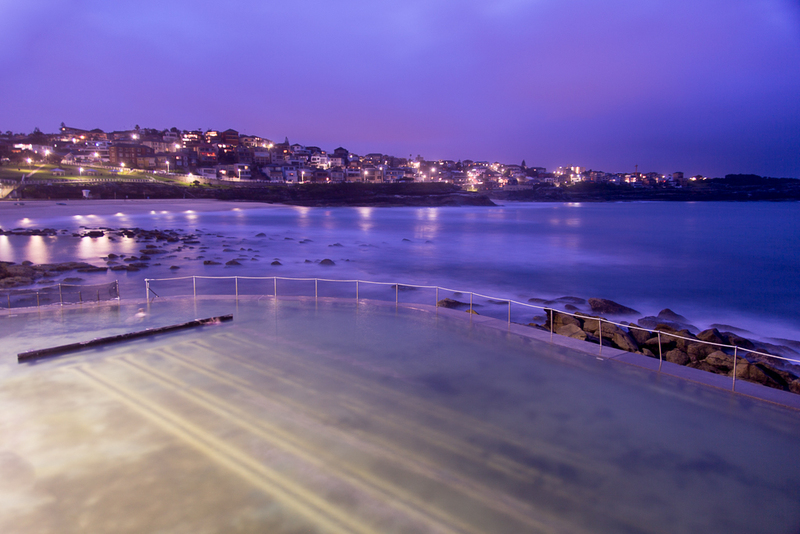 Bronte pools was not a small journey at 4:30 in the morning. I caught the train into the city and then out to Bondi Junction. I’ve never had really good success with the bus system here so I brought my bicycle along for the final 3 mile ride down to Bronte. I didn’t know exactly where I was going so some 15 minutes later a bunch of people with cameras caught my eye. The coastline is somewhat rocky here in one of the interesting things are the pools built into the mountainside. Pumps pull ocean water in to the pool so that it overflows back into the ocean. Occasionally the rogue wave will hit the rocks next to the pool and splash in. 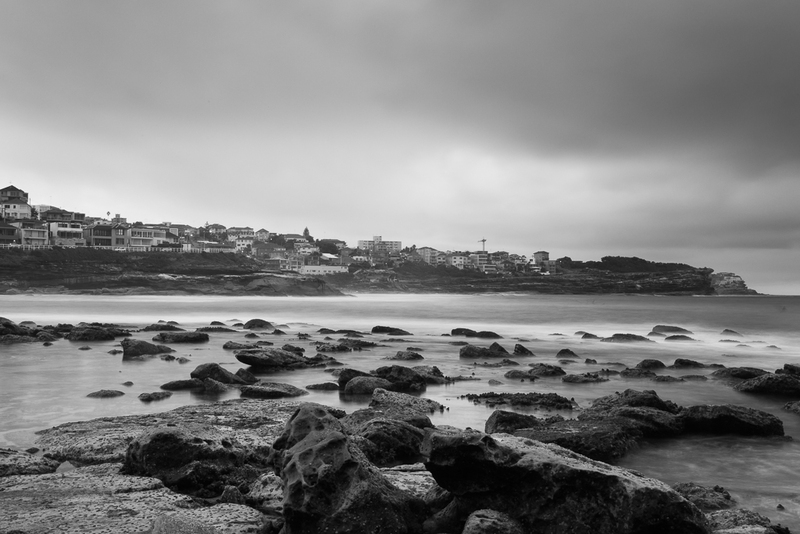 The Icebergs at Bondi is the most famous oceanside pool here in the area. The focus for this morning’s Meetup was long exposure photography. 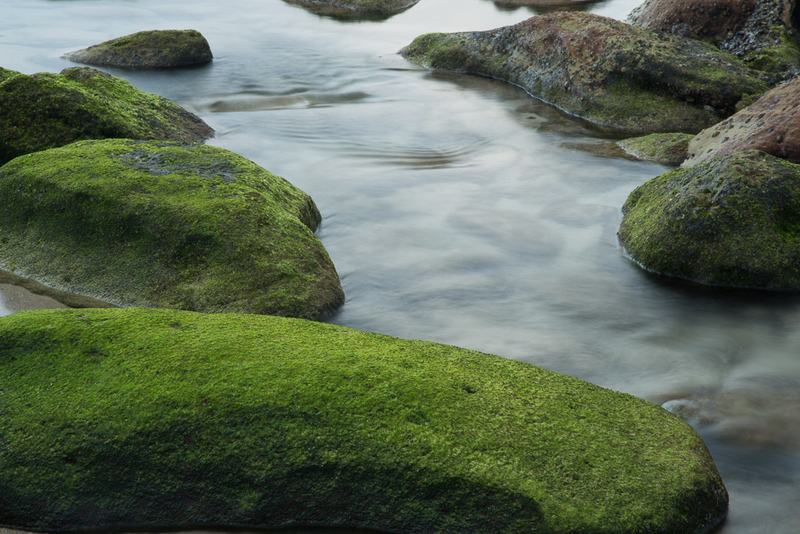 Photographs that have the wispy water and waterfalls, streams, and beachside are always taken with an extended shutter speed. The white color in the moving water spreads out over the photograph during exposure. Night photography is another use of long exposure, which I’m familiar with. I’ve not done long exposure work during the day. What did I learn? 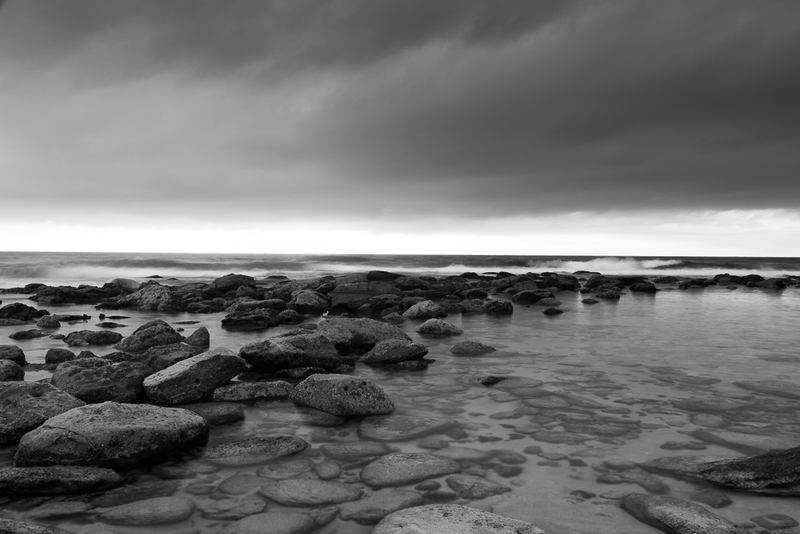 Just like long exposure photography at night, tripods are critical for long exposure photography during the day. Since the shutter speeds are so much longer, a stable tripod is even more critical. Even slight movements of the tripod over the exposure will cause blur to ruin the photo. Ensure the tripod is stable and level before you take the photo. During the day it’s easy to take autofocus for granted. At night, if there’s no ambient light around the autofocus doesn’t work well at all. 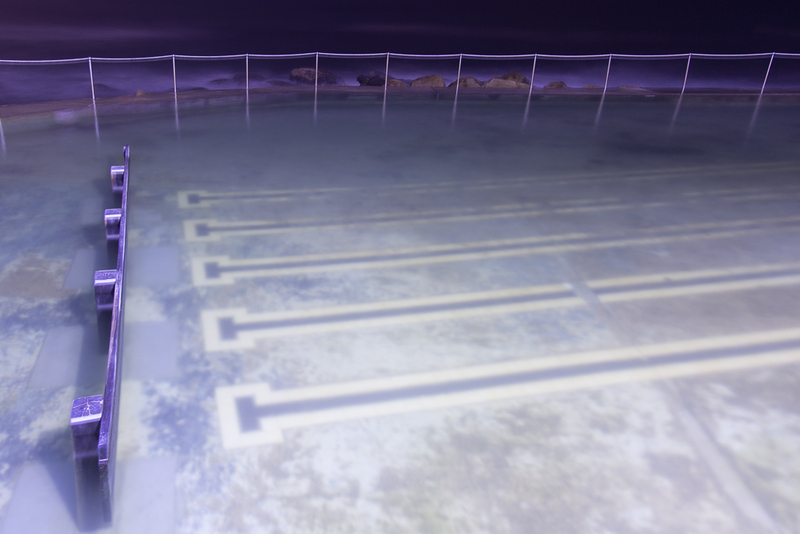 The photographs at the pool were taken in almost complete darkness. My camera when autofocusing would continue to search without locking on any particular point. The Meetup up directions said that I should bring a neutral density filter for the photo shoot. 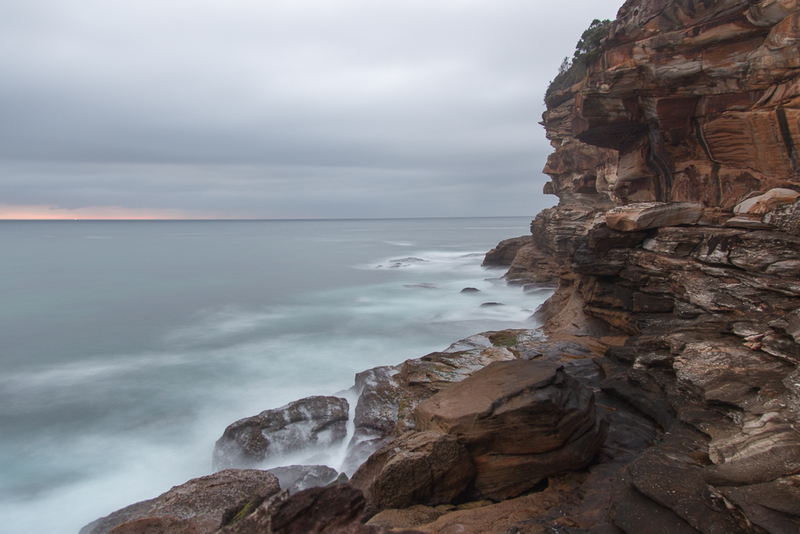 Neutral density filters here in Australia are 50% more expensive than they would be in the United States. I figured I could pass on it. I set my camera to ISO 100 and f/22 to let is little late into the camera as I could. Initially that got me 30 seconds of exposure, but they quickly eroded to two seconds as the sun came up. I began to lose the wispy color in the water at about 15 seconds. For me I think the verdict is still out if I go with a circular variable neutral density filter or a fixed one amount on the lens. Circular variable neutral density filters make it easy to adjust the amount of light going into the lens. It’s also easy to set the filter wide-open to focus and then stop down for the actual photograph. Fixed neutral density filters can compensate for sky and land with different amounts of adjustment above and below the horizon. 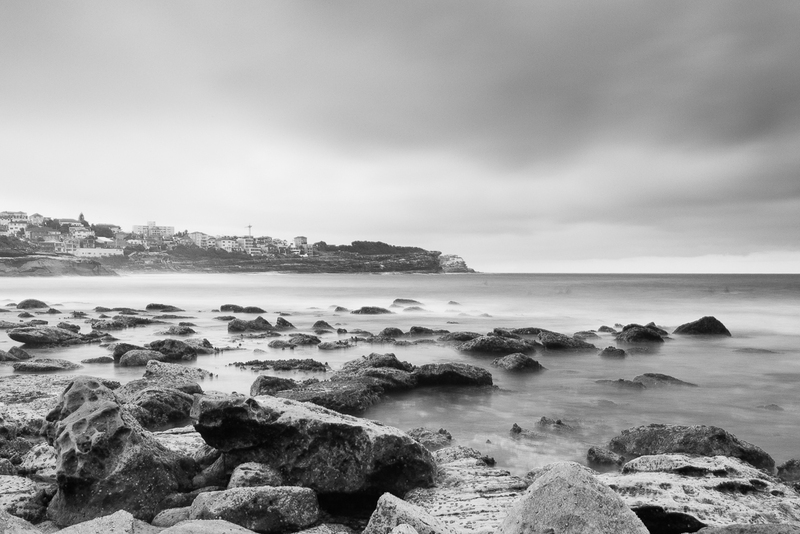 One of the key learnings of this morning was that long exposure removes things you don’t want in the photo as well. At night, long exposure extends things. Cars driving by will leave long streaks of headlights and taillights. During the day however, people and things don’t emit large amounts of light. With shutter speeds of several minutes, they will disappear into the background so that busy scenes look all the desolate. The camera just doesn’t record them. I didn’t expect to this one. We were out by the beach which I didn’t think would have a bunch of mosquitoes. I couldn’t have been more wrong. As the sun was coming up I was terrorized by the little buggers getting bites all over my legs and arms. One even got infected. Note to self, toss a container of mosquito repellent in my bag. 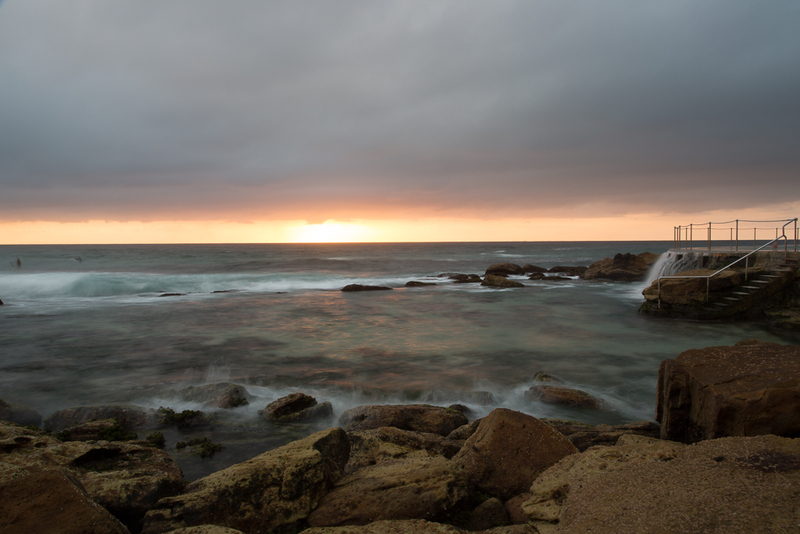 I enjoyed reading your tips on neutral density filters. Just about to order one myself. Might catch you at the next Studio 1A event.